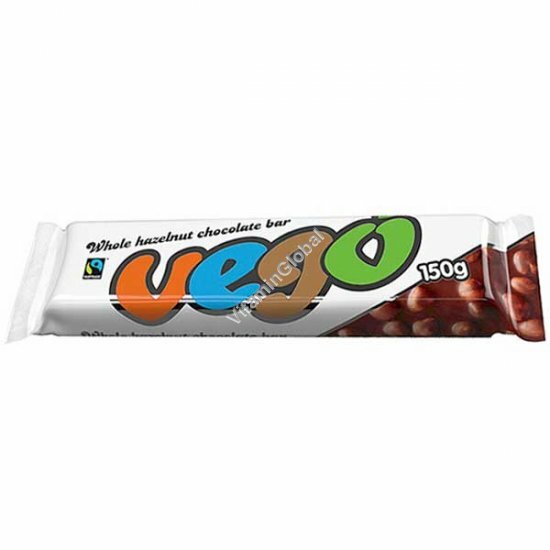 The Vego bar is probably the tastiest chocolate bar in the world, vegan, fairly traded and gluten-free. It is made of the finest chocolate with Italian hazelnut paste added in, resulting in a smooth and creamy chocolate, and generously packed with whole hazelnuts. Ingredients: Cane Sugar, Whole Hazelnuts (20%), Cocoa Mass, Hazelnut Paste, Cocoa Butter. Emulsifier: Soy Lecithin, Vanilla Extract.